Please move if not in the right place. 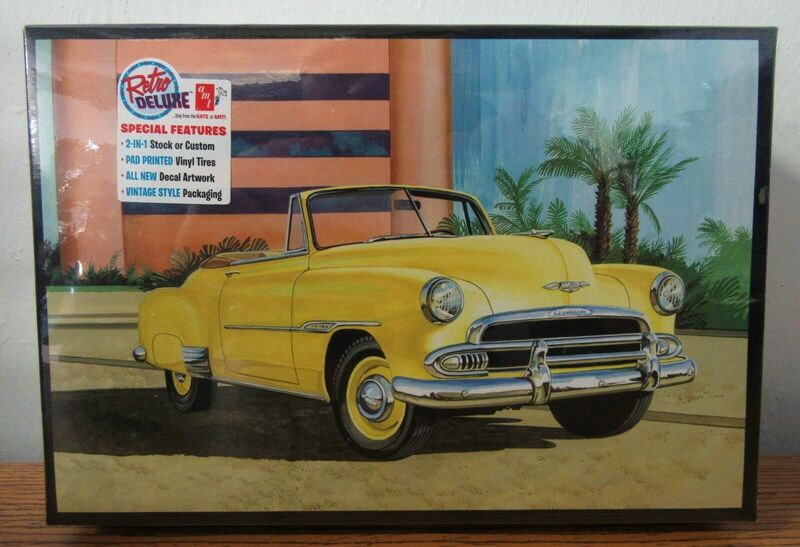 I was looking at my local Hobby Lobby and couldn't find even a label that showed that they still carried the 51 Chevy convertible. I'm not up to model news and was wanting to get this one. Anyone know if I'm too late to get it in the stores or if it's discontinued or maybe where I could find this information? Picked one up at the last HL clearance sale. I have seen previously clearance kits back on the shelf. I believe Auto World still has them listed if you want to do mail order. Could always try eBay. I was in Hobby Lobby today for paint and didn't see it when looking at their selection of models. There are tons of them on ebay. Many for "buy it now" prices under $20.00. Then of course there is shipping. I saw an opened kit selling for $9.99 plus $9.99 shipping. Even with the shipping, that's less than $20.00. Thank you for all the replies. I'll have to get one ordered if someone local doesn't have one. Check the Sales Shack, he has a lot of kits like this for &9.99 a lot of times. I just checked, and he has one, factory sealed for $11.99. Older issue, but they're all the same. I got one. Pm if interested. 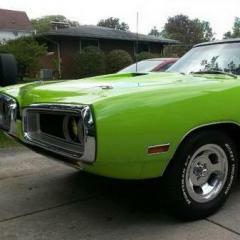 Is it only me, or is the bonnet (hood) wrong on these? It looks rather large up front. Well, here's a neat build idea for that kit. 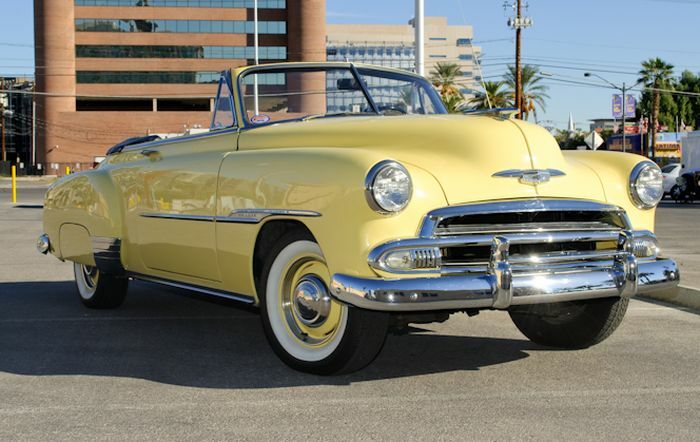 The bright yellow '51 Chevy convertible that Steve McQueen drove in the 1980 movie "The Hunter." As he often did, McQueen bought the car after the movie wrapped, just because he liked it. In 2013, it sold for $84, 000. 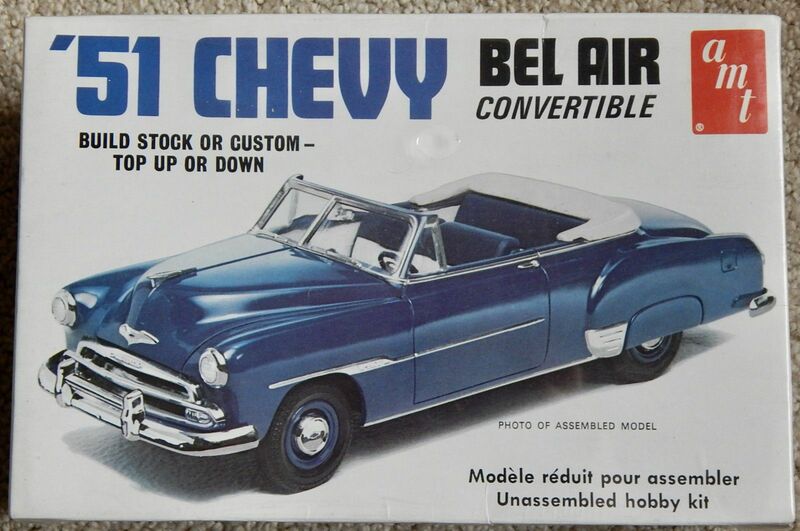 I have one of these Convertibles (though it's going to be built with a Hardtop body) and several Hardtops. Don't know if there is something wrong with the hood, other than two of my hoods are warped and not fitting correctly between the front fenders. Don't know if it's just bad luck or if it's a common problem with these kits. Anyway, these are great kits with lots of potential for different kinds of builds. Huh, so THAT was the inspiration for Round 2's most recent box art! 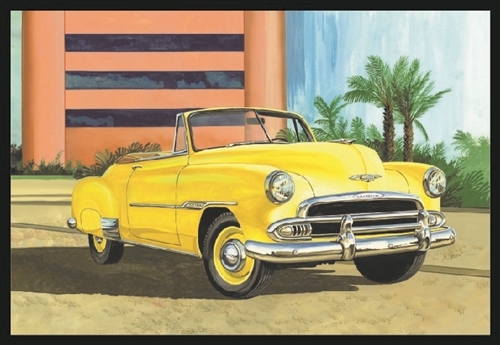 It did indeed have whitewalls in the film.